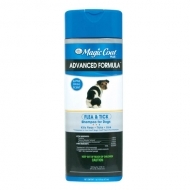 Magic Coat® PLUS Advanced Formula Flea & Tick Shampoo for Dogs is formulated to kill fleas, ticks and lice on dogs and puppies. 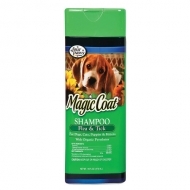 It is a rich, highly concentrated shampoo which leaves the pet's coat with a beautiful luster and fresh scent. 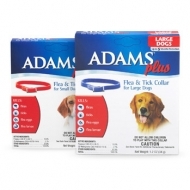 Adams™ Plus Flea & Tick Collar for Large/Small Dogs kills adult fleas, ticks, flea eggs and flea larvae for up to 5 months. This collar can be fitted for all dogs. 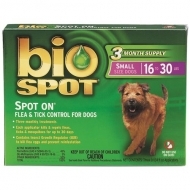 Kills adult fleas and ticks for up to 5 months. 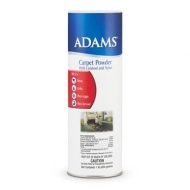 Kills flea eggs and flea larvae for up to 5 months. 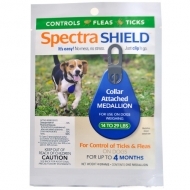 Spectra SHIELD® Collar Attached Medallion contains Zetacypermethrin which is a powerful synergized pyrethroid that kills adult fleas and all blood-feeding stages of ticks. 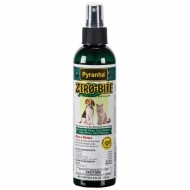 The second ingredient is Piperonyl Butoxide which is a mixed-function oxidase inhibitor that ensures maximum effectiveness of Spectra SHIELD®. 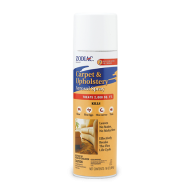 While this highly effective combination protects pets, it exhibits very low toxicity to animals and humans. 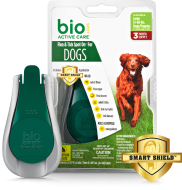 When hung on the dog’s collar the active ingredients migrate to the surface of the tag and are then transferred from the surface of the tag to the hair of the dog where the actives mix with the natural oils on the skin and hair and migrate all over the body. This process is facilitated by the natural oils on the hair and skin of the animal. 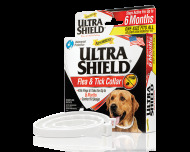 Effective flea and tick control available without a visit to the vet. 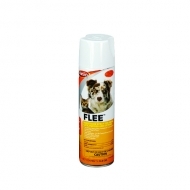 Martin's Flee Insecticide spray for Dogs and Cats is a fast acting, long lasting, waterproof spray that utilizes the active ingredient Fipronil, which is the same active ingredient that is used in Frontline Spray. 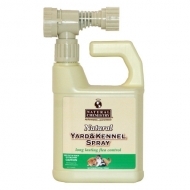 It provides a quick an effective control of fleas and ticks on dogs, cats, puppies, and kittens and is easy to use. 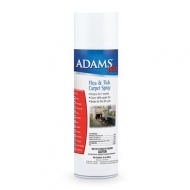 Spectra Sure® Spray Stops and prevents infestation of fleas and ticks. 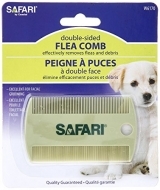 Kills fleas and ticks for up to 1 month. 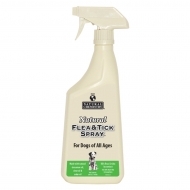 Natural Chemistry Dog Flea & Tick Spray is made with natural cinnamon oil, clove oil and cedar wood oil which kills fleas & ticks by contact and is residually effective for up to 7 days. 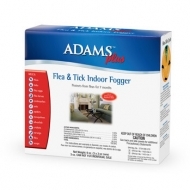 This product is also effective on black flies & mosquitoes. 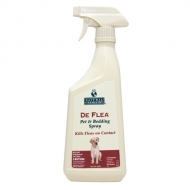 DeFlea Pet & Bedding Spray kills fleas on contact. 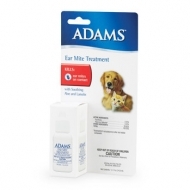 It can be used on all dogs & puppies.